eLOCOS(TM) 2.5D and 3D high density interconnects (with market of $18.1B by Y2020) allows for the creation of new chipset architectures for future generations of mobile- and server-class processors as well as RF, MEMS, Optical, CIS, IoT devices. eLOCOS(TM) electroless metal photo-patterning technology enables the manufacture of large-area flexible PCB’s with plated through holes aimed at the $15.2B flexible PCB market by Y2020. eLOCOS(TM) controlled expansion metallization of 3D electro-thermal systems enable the devices that can withstand high thermal stress and high temperatures, neccessities for the $75B transportation market. Electronic devices are made compact and powerful by packing ever-shrinking components onto integrated circuit boards as densely as possible. Still, there are practical limits to how much processing power can be squeezed onto the classic planar circuit board. 3D integrated circuits will allow manufacturers of electronic components to continue making affordable devices smaller and more powerful. Nano3D Systems eLOCOS(TM) plating solutions can fill blind and through-holes completely, uniformly and efficiently, critical for the wide-scale adaption of 3D integrated circuits. 3D metallization may be the future, but 2D patterning is not going anywhere. 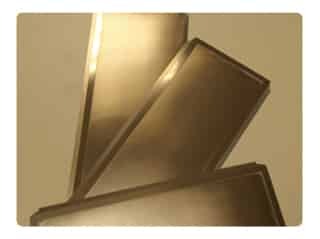 Use eLOCOS(TM) solutions to make thin films for etching, or plate selectively by patterning your substrate at the activation step. 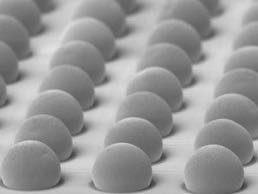 Use your own processes or Nano3D Systems’ proprietary catalytic photoresist. Plate high-density features on silicon wafers, glass or polymer substrates. Temperature restrictions? pH problems? Let Nano3D Systems help you to find the right process for your situation. Need interconnect and coatings on your devices withstand high thermal-mechanical stress? Or tune composition and thermal-mechanical properties of Ni-Fe alloys? Match plated metal CTE to substrate CTE? 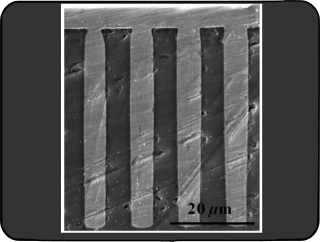 Let NANO3D Systems help you to produce uniform, low-internal-stress and controlled-expansion nickel iron alloy films deposited on different substrates to fabricate redistribution layers, through silicon vias interconnects, plated though-holes, pillars, bumps, pads, coatings and free standing foils. 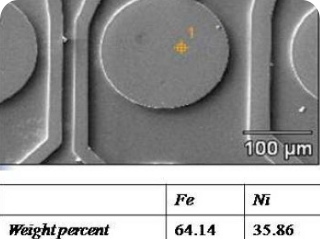 Conformal plating of metallic shells on non-metallic particles. 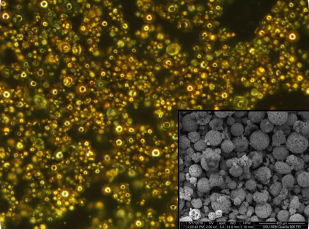 Novel nano- and micro-materials with unique properties can be fabricated by conformally plating metals on non-metallic particles. 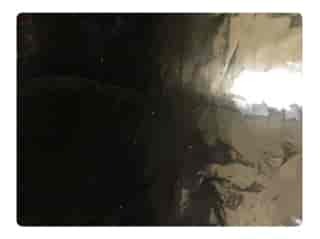 Metal plated graphite particles with low resistivity metals combine low electrical resistance with low weight while metal plated phase-change materials have high thermal capacity and increased thermal conductivity. Do your manufacturing processes involve working with ceramics? Electroplating can add significant value to your finished products by increasing their strength and durability, enhancing corrosion resistance, promoting electrical conductivity and even improving their appearance. One difference when plating on a ceramic substrate as opposed to typical metal-on-metal applications is the need to prepare the ceramic surface. Applying a copper or nickel base coat via electroless plating will promote adhesion of the topcoat, maximizing the results of the electroplating process. NANO3D’s electroless (nickel and copper) plating processes for room temperature metallization (RTM) of ceramics is applicable to metallizing alumina substrates in hybrid and microcircuits, insulated heat skinks, ceramic tubes, windows and terminals. Strong bond structures are produced. Structures with hermetic seals are formed as well. The RTM process is also useful for metallizing barium titanate and ferrites. In addition, many polymeric materials, notable polyesters, epoxies, cellulosics, mylar and acrylonitrile-butadiene-styrene may be metallized following suitable modifications of the etch. RTM lends itself productively to the application of photolithographic technology using photo resist materials to register metallization patterns. 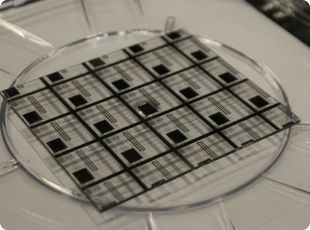 In this manner, conductive pads may be formed for thin film and hybrid circuits. Base plates for building capacitor structures are also quite feasible. NANO3D SYSTEMS, LLC participated in the Center for Power Optimization of Electro-Thermal Systems (POETS) annual meeting to share results from our SECO-funded collaboration.